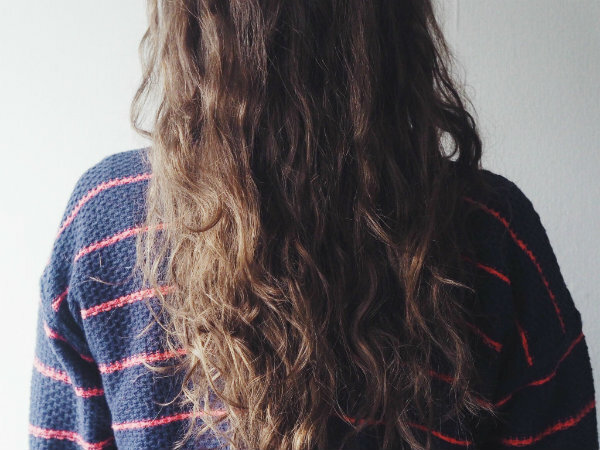 Start off with clean dry hair. If it's freshly washed, add a little texturising spray so that the hair has some grip when it comes down to styling. Starting about an inch above your ear, separate the hair into two sections, front and back, leaving a straight parting just below the crown of your head. 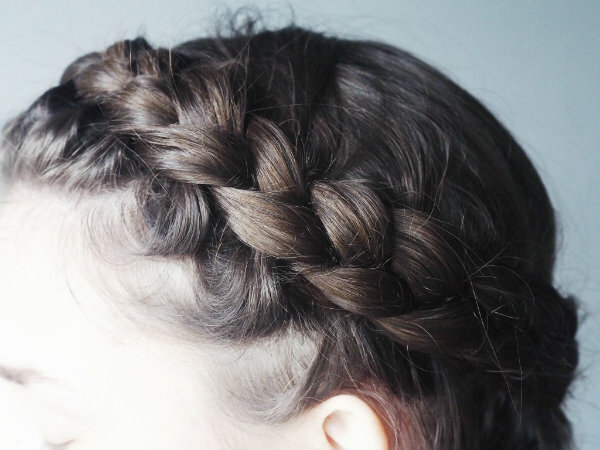 Dutch braid the hair around the back of the head. 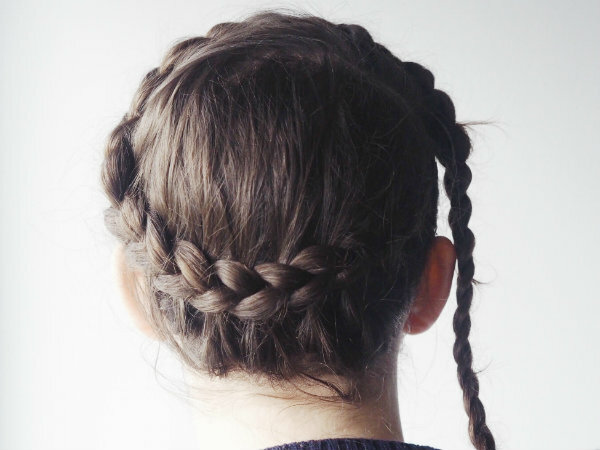 Continue the Dutch braid all the way across the back of the head. If you're doing this on yourself, you'll have to change your hand positions a few times to make sure you're still going in the right direction. Bring the Dutch braid around the front of the head, now using the hair that was separated at the beginning. 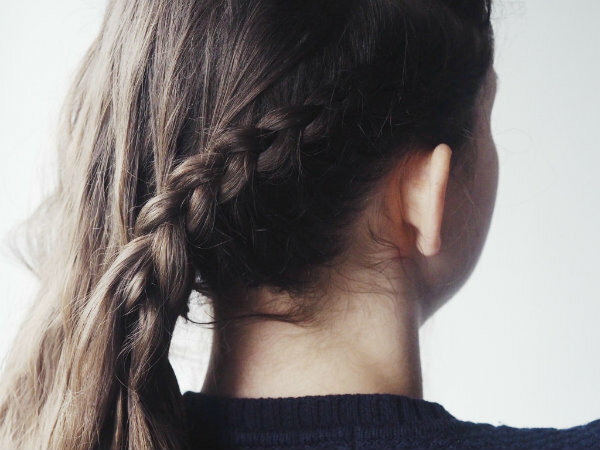 Bring the Dutch braid all the way around, using up the remaining loose hair and continue with the braid until all the hair has been used up. 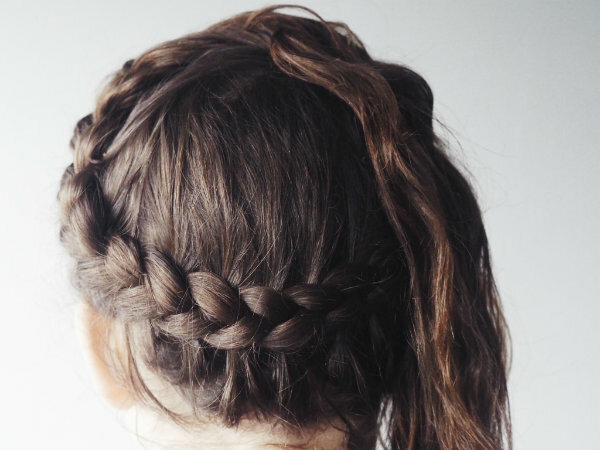 Bring the loose braid around the back and pin into place. 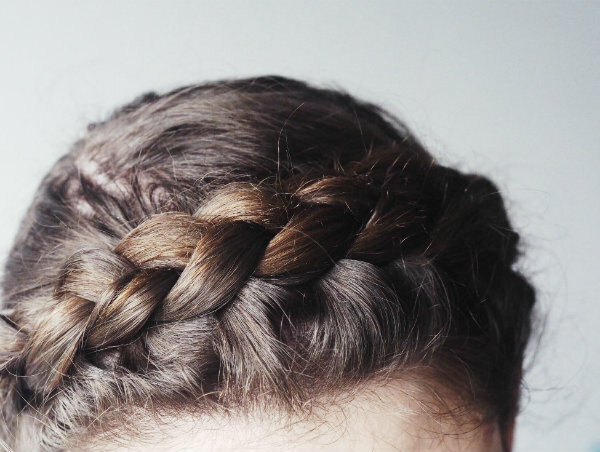 If the braids look a little sparse, gently pull on the edges to make them look fuller. Spray with a little hairspray to ensure that everything holds. 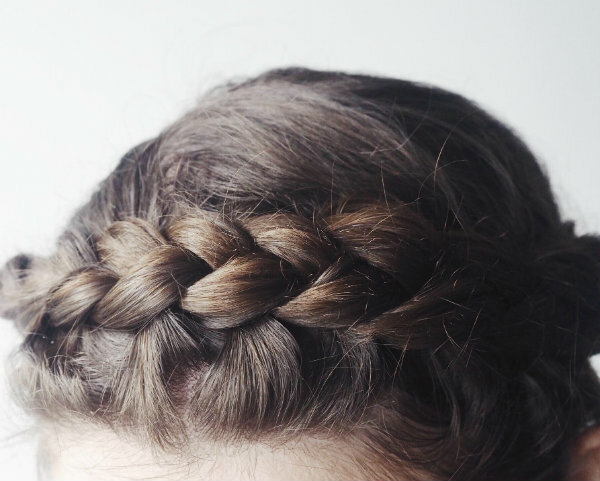 Have you ever tried a crown braid? What a beautiful braid! I'll try to make it here at home! I loooove the way this turned out- braids always remind me of the spring and summer! 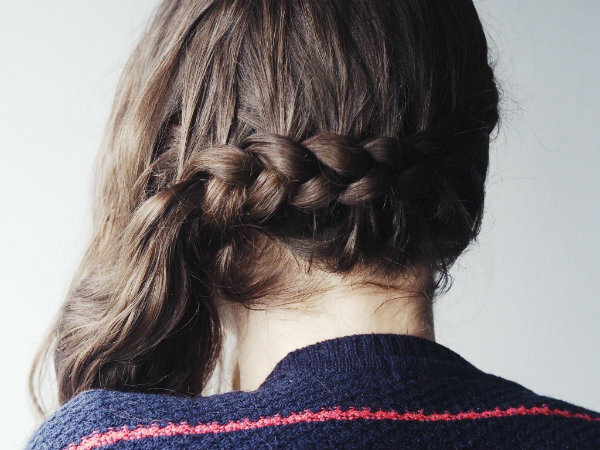 Such a gorgeous braid and so perfect for the spring season! I need to do something like this! I love how it turned out. Your hair looks so pretty! Beautiful results. I have to grow my hair just a bit longer to rock this pretty look. I love braids!!! So beautiful!! I love this beautiful hair crown! I've never tried it before, but now I want to! Thanks for sharing! the hair crowns are my favs. THank you for these helpful tips and pictures. Definetly need to try it. Such a cool hairdo Rosanna! I wish I were able to emulate it! Yes, I tried a crown bread! I made such a crown already often for our daughter and my sister :) You look wonderful with this hair-do! This is so nice! I love the hairstyle. Super romantic!! I have to try this!!!! I love braids but a crown braid is something I really struggle with so I'll definitely be trying this tutorial! Amazing! I wish my hair was long enough to do it.